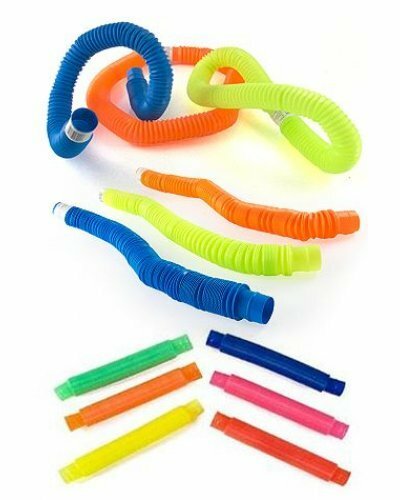 Bend and make your own shapes with the Slinky Pop Toob! 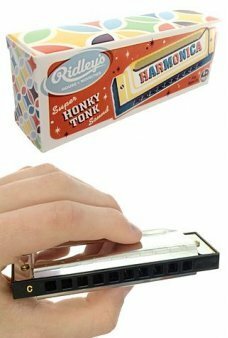 The colorful Toobs make a snapping sound as you flex them. 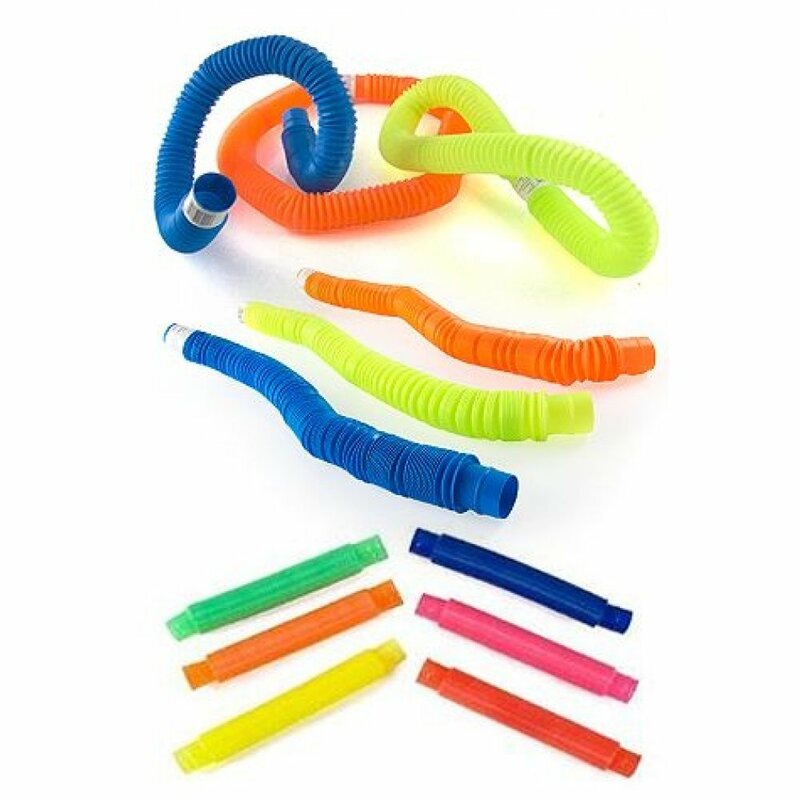 The 9 inch long tube stretches to 29 inches! The ends snap together so you can connect them. A fun and creative party favor! Our amazing Monkey flips on the Flying Trapeze! Just squeeze the poles to make the cute monkey swing..
Our cute Pink Chick really floats in water! 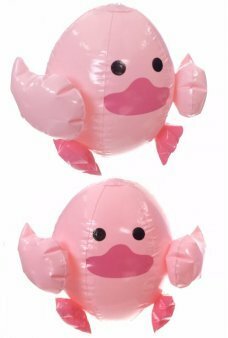 Our inflatable chick with adorable little wings and feet.. Hang this beautiful Bluegrass Banjo on your Christmas tree. Our amazingly detailed banjo looks like .. This colorful Balloon Tin Top spins into a wonderful blur. 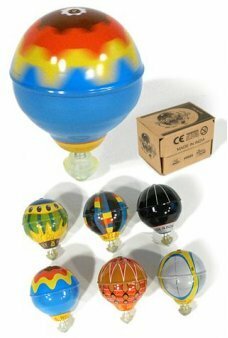 Each balloon-shaped top has a gyroscopic .. 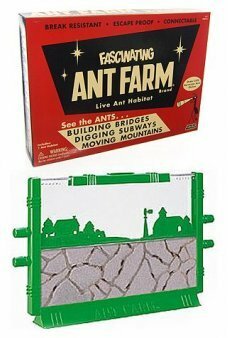 The Original and Facinating Ant Farm is back in its vintage 1956 box! 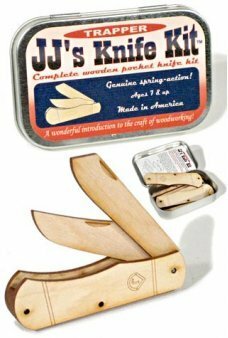 Watch the ants dig tunnels, bu..
Our neat tin includes a real Wooden Pocket Knife Kit! Just follow the instructions to make a genuine..